I LOVE caramel, and I am always on the hunt for the perfect caramel, whether as a candy, a topping, or to dip apples in. 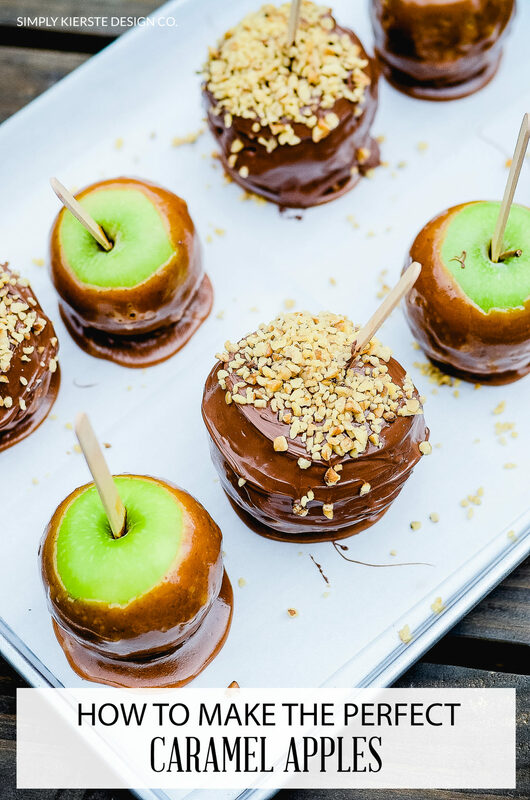 Caramel apples are one of my favorite fall treats, and a few years ago I was determined to try and make the perfect caramel apple. I’ve picked up some tips and tricks along the way, and I’m excited to share them with you! 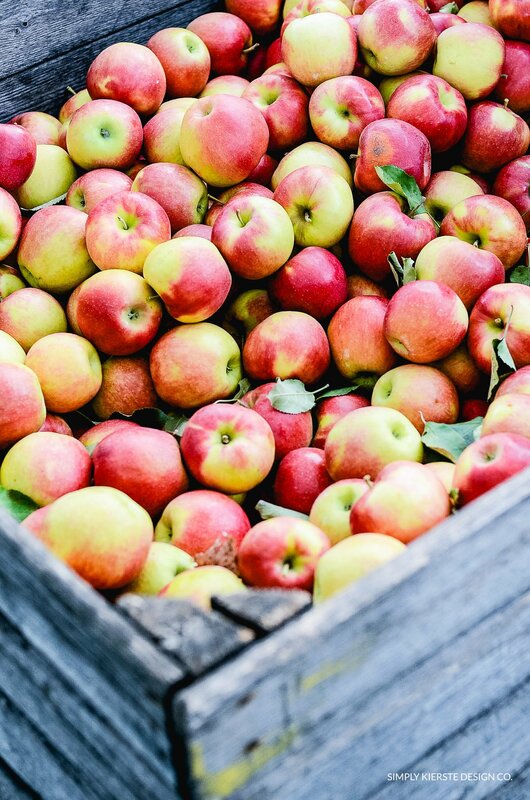 Living in upstate New York, picking apples is one of the best fall activities of the year. 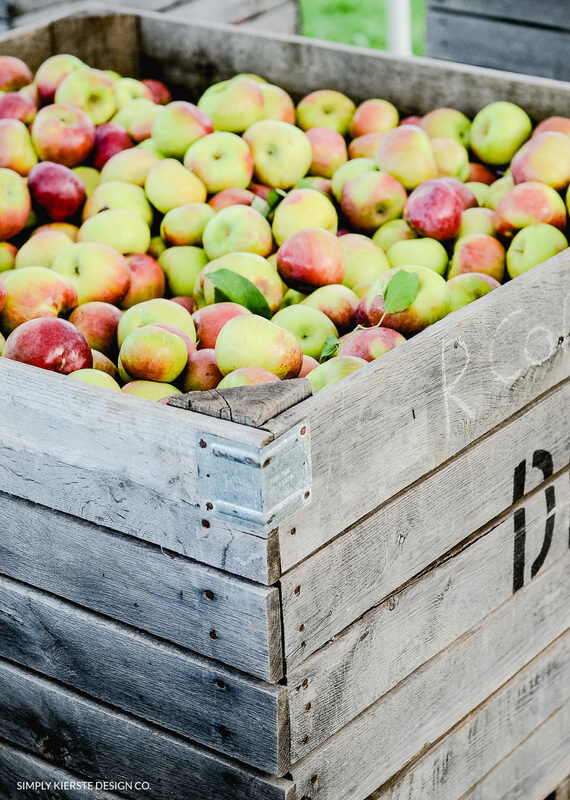 It really seems like the epitome of fall–sweaters, crisp air, rows and rows of apples, apple baskets, cider, and our favorite apple orchard. We look forward to it all year! 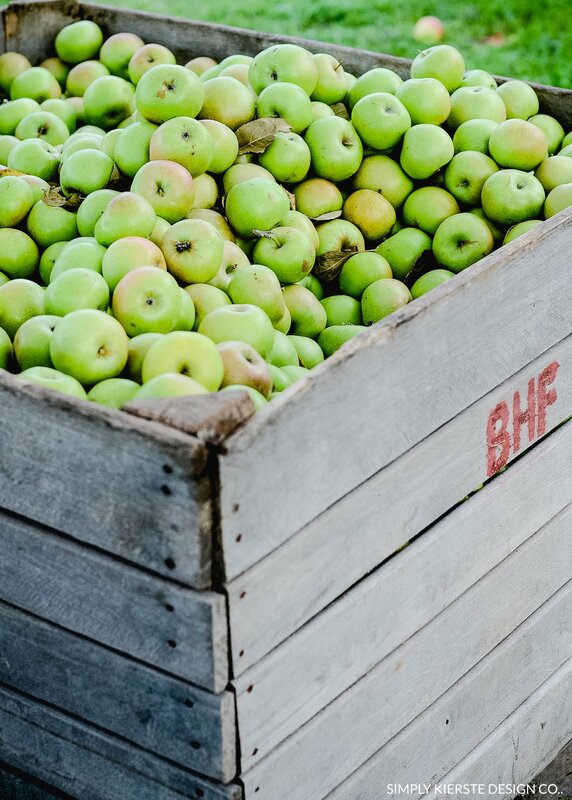 After our apples are picked, caramel apples are always next on the list! To my delight, I eventually stumbled across another recipe and after a few changes + tricks, it all came together and made all the difference! Making the caramel doesn’t take too much longer than melting wrapped caramels, especially because there’s nothing to unwrap. Plus, you just can’t beat the taste of homemade caramel, and the few extra minutes it takes is TOTALLY worth it! Poke a wooden stick (I use popsicle/craft sticks) in the center of the apple. I also like to use twigs/sticks from our woods instead of the stick–it gives it fun, rustic look. 2. Okay, ready for the best tip ever? Lightly sand your apples! I cannot believe the difference this makes. It really works! I use a fine grit sandpaper, and gently rough up the apple–not taking off any of the skin. Doing this removes some of the waxiness, and allows the caramel to stick. After sanding, I take a damp cloth and wipe off the apples, then let dry. 3. Rub the back side of a cookie sheet with butter. 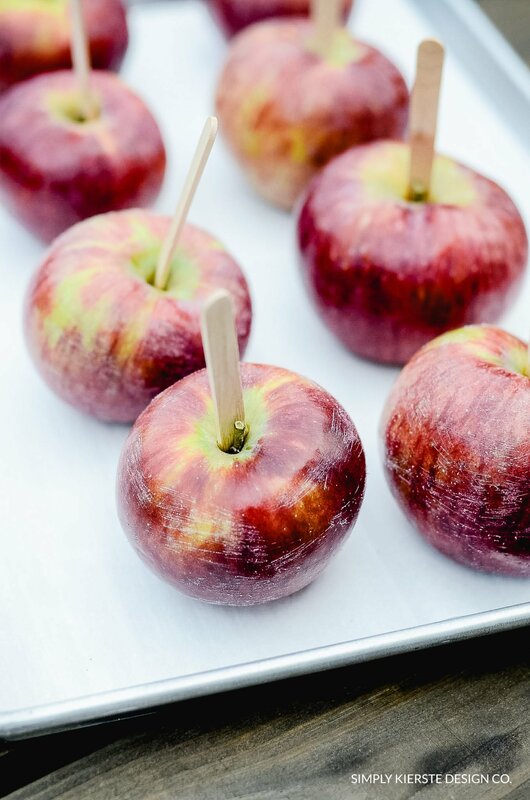 This is where you’ll put your apples to cool after they’re dipped. I’ve found that the apples will stick even to parchment paper or wax paper, so I don’t use either one. 4. Make your caramel, following the recipe exactly. You really do need to stir constantly, scraping the sides often. If you don’t have a candy thermometer, I would invest in one–I use mine all the time. I also use the cold water test–dropping some of the caramel into a cup of cold water is an easy way to see which stage your caramel is at. 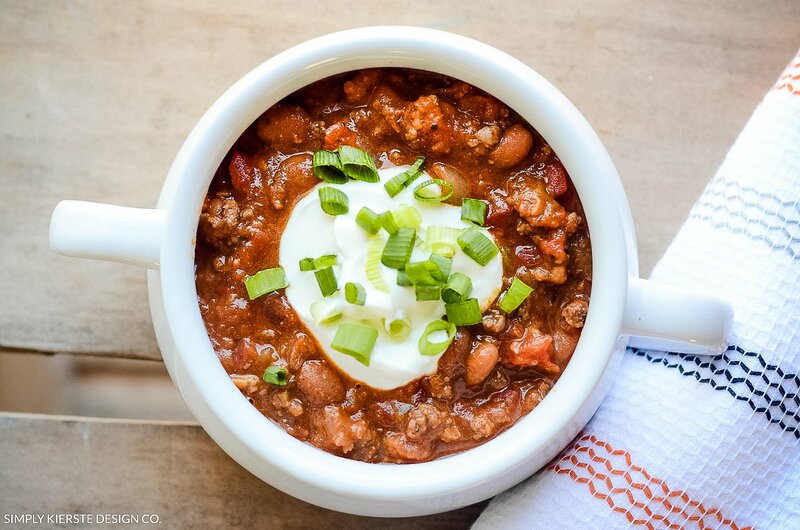 Combine the first three ingredients in a large saucepan. When the butter is melted, add the condensed milk. Stirring constantly, cook to 230 degrees (soft ball stage). Take off heat, and stir in vanilla. Let it cool for a few minutes before dipping—super hot caramel is more likely to slide off. I found that waiting just a couple of minutes after your caramel is done to dip apples really made a big difference–when it’s super hot, it has more of a tendency to slide off. You don’t need to wait too long–less than 5 minutes. Favorites? Dipped/drizzled with white chocolate, then in cinnamon & sugar; dipped in chocolate, drizzled in peanut butter, then rolled in PB cups; white chocolate with chocolate drizzles and toffee bits…yum! I melt chocolate chips in the microwave, then spoon into a sandwich bag. Push the chocolate into the corner of the bag, then snip a tiny bit off of the corner–an easy piping bag that makes the best drizzles! 7. 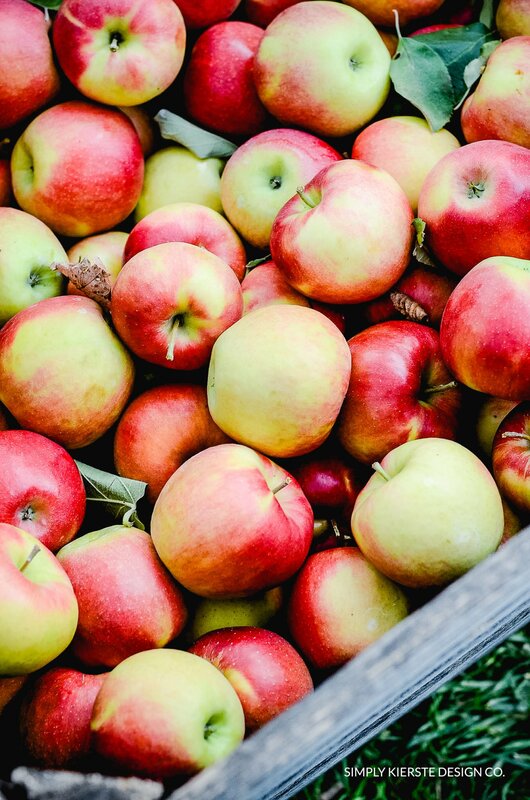 Place apples in the refrigerator to firm up–then you’re ready to eat and enjoy! Combine the first three ingredients in a large saucepan. When the butter is melted, add the condensed milk. Stirring constantly, cook to 230 degrees (soft ball stage). Take off heat, and stir in vanilla. Let it cool for a few minutes before dipping---super hot caramel is more likely to slide off. That recipe is almost the same as the one my mom always used (hers has 1/4 cup more brown sugar). They are the BEST caramels I've ever had/made, and super easy too. I love the sanding idea. I just might have to make these! I can hardly wait to try this method. My last attempt was "mini" apples for our grand daughter and it resulted in a change of venue (doughnuts) which wasn't much fun. Thanks so much for the tricks of the trade! I know my husband will love these! I love caramel apples and have been searching for the perfect recipe and I think you have solved my problem! Thanks so much for sharing and I will post about them. I plan to use sticks gathered from our wooded lot. I always read your blog, you are so creative. Thanks for the additional tips you guys! I'm always looking for anything that will help. Chanel–I'm the same way with the butter! I actually do use it instead of Pam (with Rice Krispie treats too) because of the taste–don't know why I didn't add it, but I'm going to now! I did the sand paper thing when I made them last month and thinked it help as well. I've never done the homemade caramel though. I can't wait to try the sandpaper! thanks! I pinned this on pinterest. Never heard of this, I just saw it on Pinterest and had to come and see! That is the same caramel I use and I don't have any problem with it sliding off, but this year (and I have used it for years and years and years!) the caramel bubbled. I went ahead and dipped them and added spider web and actually submitted to Foodgawker and got accepted, so I saved them! Yum, I love this recipe. OMG! Yummy! I can't wait to try the recipe! One thing I read a couple years ago after my failed attempt at these was that yr supposed to wash the apples in a vinegar and water mixture and that's supposed to take the wax off the apples too. Maybe I'll try the hot water method, sand paper method and the vinegar method at the same time and see which works best. That seems to be the hardest part of caramel apples. Thanks for sharing! I’ve never seen such fancy caramel apples! Definitely want to give these a try. I'm so excited to try these tips out. So darling! Love your blog. Can't wait to see what's next.